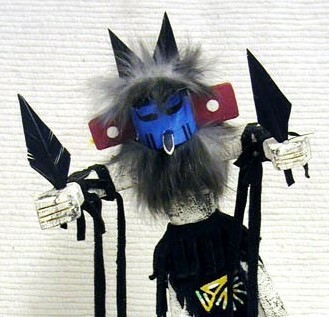 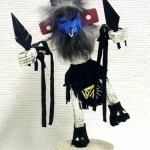 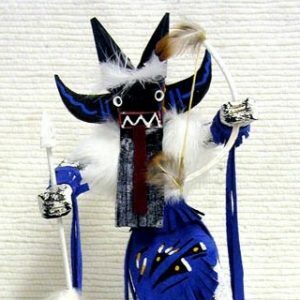 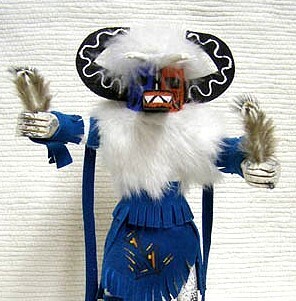 The Hummingbird Kachina is a brilliant impersonator during winter and spring dances. 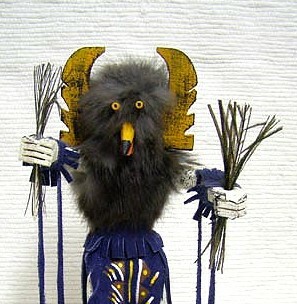 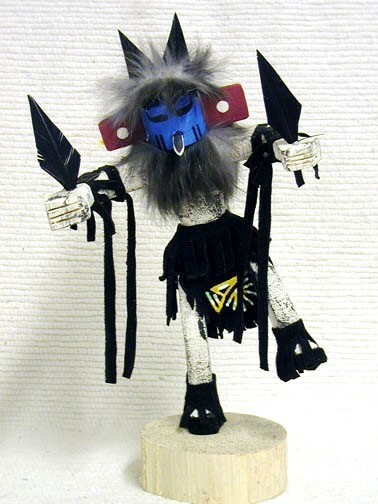 The Kachina bobs and calls like a bird while it moves with great speed. 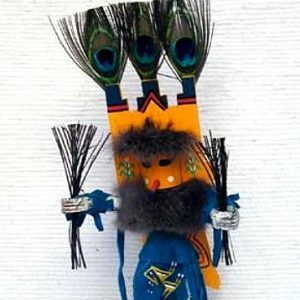 He may also appear as a runner because he moves fast enough to catch an individual and whip him with his decorative staff.